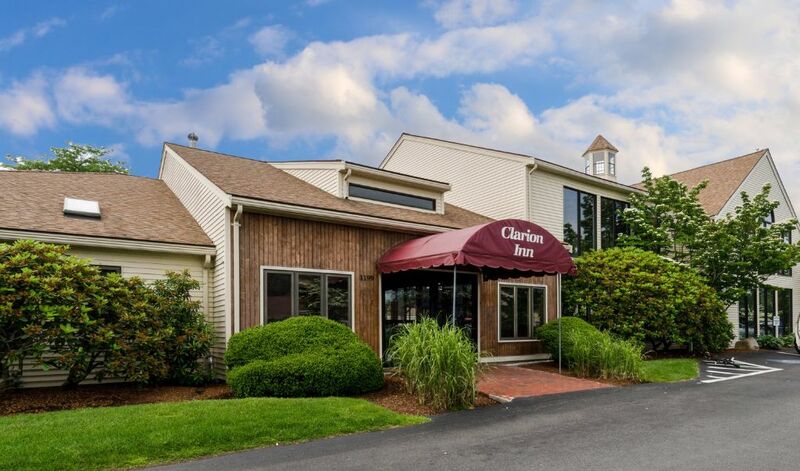 Vacation year round at the All Seasons Resort (formerly known as the Clarion Inn). 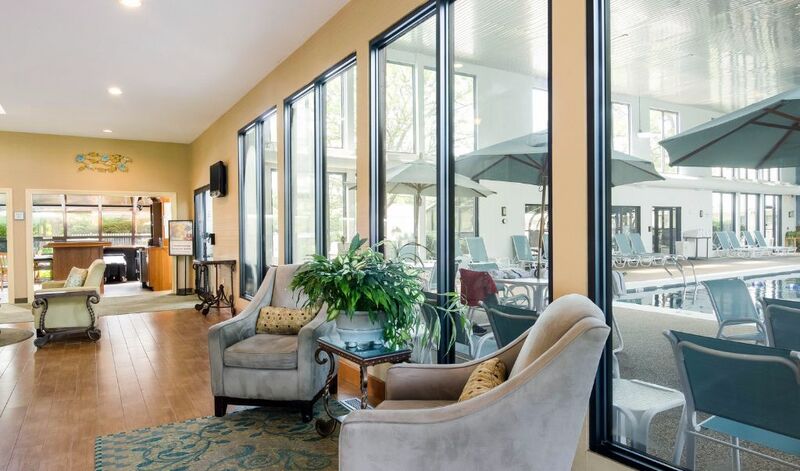 The All Seasons Resort is conveniently located in the seaside town of South Yarmouth, Massachusetts. Close to many of Cape Cod's most popular visitor attractions including beaches, fine/casual dining, golf courses, and shopping centers. Day trips to the Islands of Nantucket and Martha's Vineyard via ferry are just minutes away. Our 110 deluxe accommodations have been recently renovated with a touch of Cape Cod charm, while keeping the needs of today's traveler in mind. At the All Seasons Resort, we make every effort to provide each guest with 100% satisfaction during your stay with us. 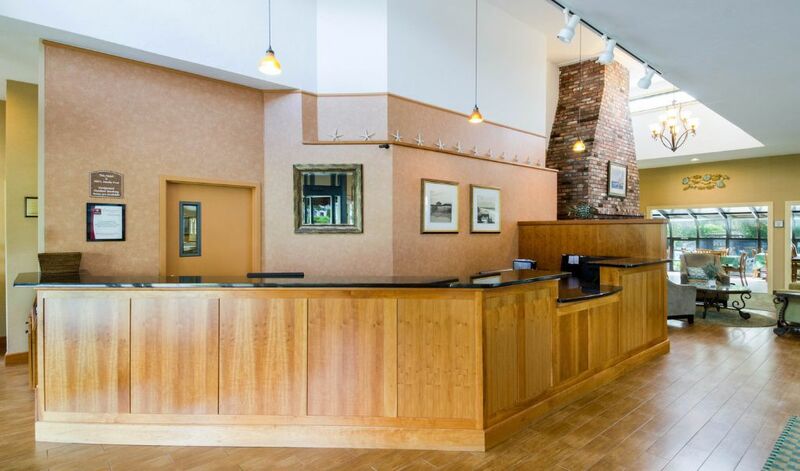 Whether you are taking your annual Cape Cod vacation, a golf trip with friends, celebrating an anniversary or a romantic weekend getaway, our friendly and knowledgeable staff will make every effort to help make your visit here a memorable one. 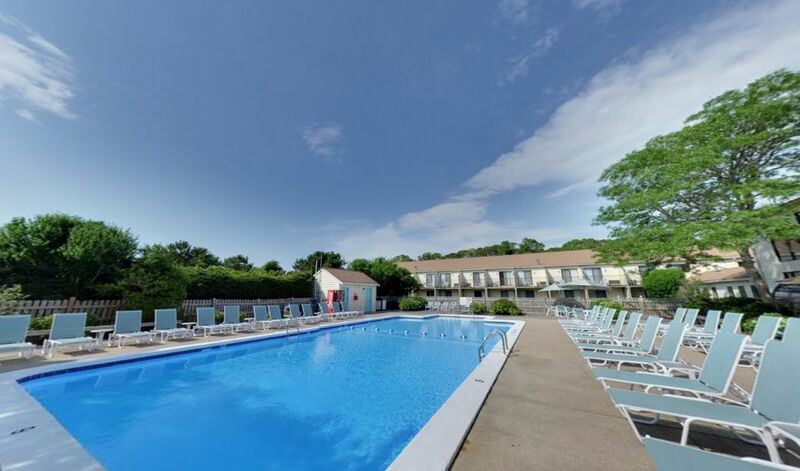 Offering a seasonal outdoor pool and hot tub, All Seasons Resort is situated in South Yarmouth in the Massachusetts Region, 27.34 mile from Provincetown. Free WiFi is featured throughout the property and free private parking is available on site.Every room includes a flat-screen TV. Enjoy a cup of coffee from your balcony or patio. The rooms are equipped with a private bathroom. For your comfort, you will find free toiletries and a hairdryer. Chatham is 12.42 mile from All Seasons Resort, while Falmouth is 23 mile away. The nearest airport is Martha's Vineyard Airport, 28.58 mile from All Seasons Resort. We speak your language! 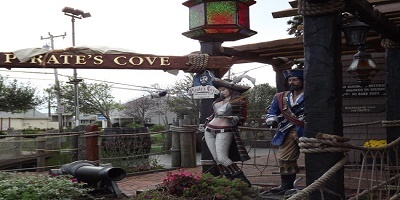 Welcome to Pirate Cove!Pirate's Cove Mini Golf have two beautiful courses for you to choose from: Blackbeard course and the original Captain course. Both courses have a par of 37, mysterious caves, roaring waterfalls, water cannons, sailing ships, and plenty of pirate fun. In addition, each course works its way to the top of a mountain. Beware of sharks and pirates lurking around every corner! The only difference between the two is Blackbeard course is built with ramps for stroller and handicap accessibility. Follow the red (Captain) or black (Blackbeard) footprints to get started on hole 1 and enjoy your game. Cape Cod Inflatable Park and Resort offers stay n play family lodging and entertainment conveniently located in the mid-Cape area with easy access to Boston, Providence and the lower Cape area.Guests may choose to purchase passes to the Inflatable Park on it's own to enjoy our wet and dry inflatable rides, arcade room and dining options, or they may take advantage of our Stay n Play option. 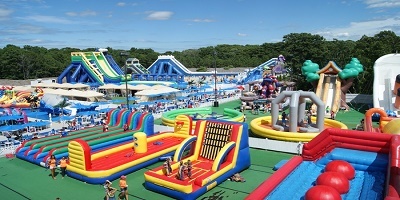 Guests who book rooms in the Cape Cod Inflatable Resort enjoy FREE passes to the Inflatable Park for all guests during their stay. 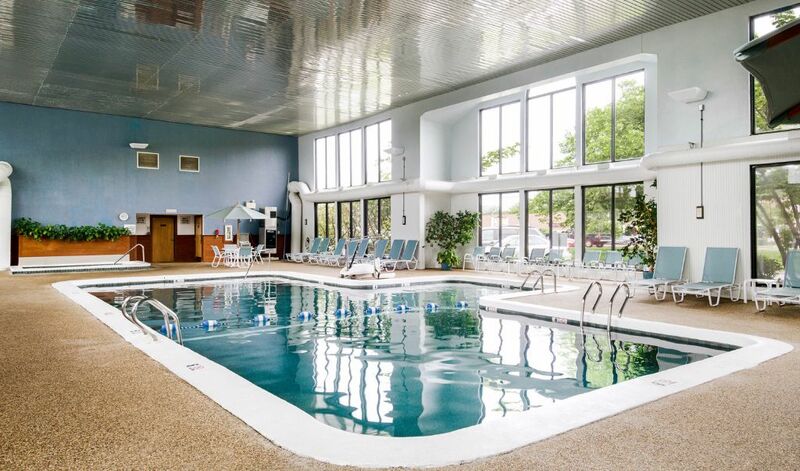 Our resort offers well appointed rooms, an indoor pool, whirlpool and large outdoor pool. Skull Island Adventure Golf & Sports World (Formerly Bass River Sports World) is Cape Cod premiere sports complex featuring fun and excitement for the whole family! 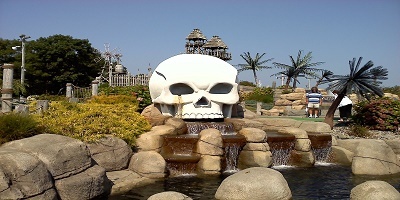 Located in Yarmouth, MA, Skull Island is the perfect destination for your next family vacation or day trip.Lou Nickinello, owner, Skull Island Sports World, Cape Cod, Massachusetts opened his original course with his father Tony May 10, 1961. They bought 10 acres of land and built an 18-hole course, batting cages and a driving range. It was a traditional flat course with lollipop and windmill obstacles. Whydah Pirate Museum. Experience Cape Cod's newest interactive science museum featuring real pirates and real treasures! A must-see attraction for all ages where you will touch, see and interact with the worlds only authenticated pirate treasure, discovered in 1984 off the coast of Wellfleet. 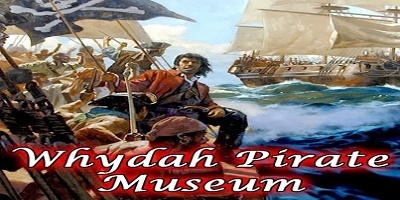 Now the only museum in the world that features authenticated pirate ship treasure, the Whydah Pirate Museum provides an interactive and fun learning experience for children and adults. All children are welcome. Free! Up to three children under 12 years stay free of charge when using existing beds. All further older children or adults are charged USD 15 per night for extra beds. The maximum number of extra beds in a room is 1. Any type of extra bed is upon request and needs to be confirmed by management. Supplements are not calculated automatically in the total costs and will have to be paid for separately during your stay. A great stay for a great value!! The hotel was quiet, the rooms clean, and included a breakfast included. The stay that was the great value compared to other hotels in the area. I would highly recommend this hotel while visiting the Yarmouth, MA area!! We have been staying at All Seasons or whatever it has been called, for years. We stay with several couples staying in the exact same rooms. We really enjoy our stay using the pool and hot tub. We like All Seasons because of its location, close to golf courses and restaurants. Great indoor and outdoor pool areas. So relaxing we just hung out at the pool the first day. Great breakfasts and a lunch grill if you want. Extra friendly folks and super helpful. We will be back everything we come to the Cape!! Thank you for an awesome time!! The room was clean and the staff was great!!! The pool looked inviting but we had a 50th Birthday party to go to but next time we will take the time!! Thanks again!!! Hotel was within 5 minutes from the beach. Staff was friendly and hotel was clean. Great, convenient location. Would return. Our family stayed at the All Seasons for two nights in August and were pleased with the location of the property. It is close enough to some great beaches, such as Corporation Beach and Mayflower Beach to the north (15 minute drive away). We also took a day trip to Provincetown that was under a 1.5-hour drive. The hotel itself is next door to a cool little ice cream shop. I would recommend if the location is important to you. Good location good facilities, Central on cape. Reception staff exceptional customer service very helpful and knowledgeable on area went over and above both Ruben and the blonde haired lady (mum). most helpful reception staff I have come across and have been to many hotels. Nice little extras in hotel coffee, fruit etc nice touch. This is a perfect hotel for families. The price is right and it is very close to beaches, restaurants, mini golf, etc. The kids loved the indoor and outdoor pools. Hotel is clean, staff is friendly, and we were happy with our short stay. Centrally located on the Cape. Well maintained, clean, with friendly, helpful staff. The rooms are spacious, clean, and well maintained. Breakfast is good. The food is fresh and there is a variety of choices. 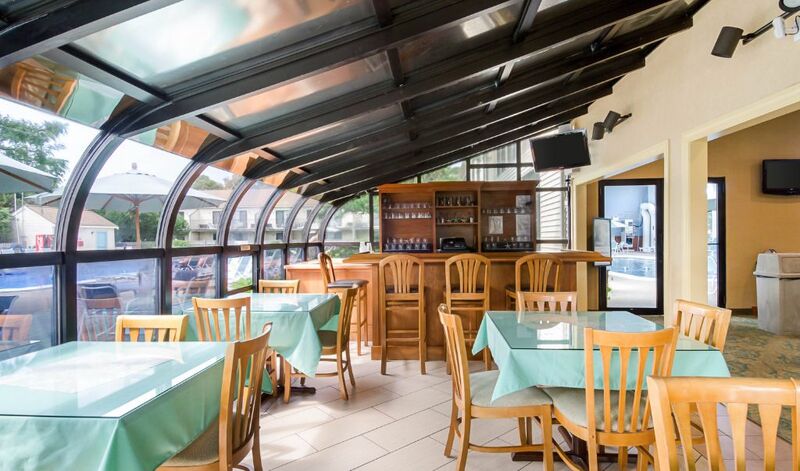 It fits in well with what you would expect from a beach community hotel. Pleasantly surprised by the breakfast that's included. 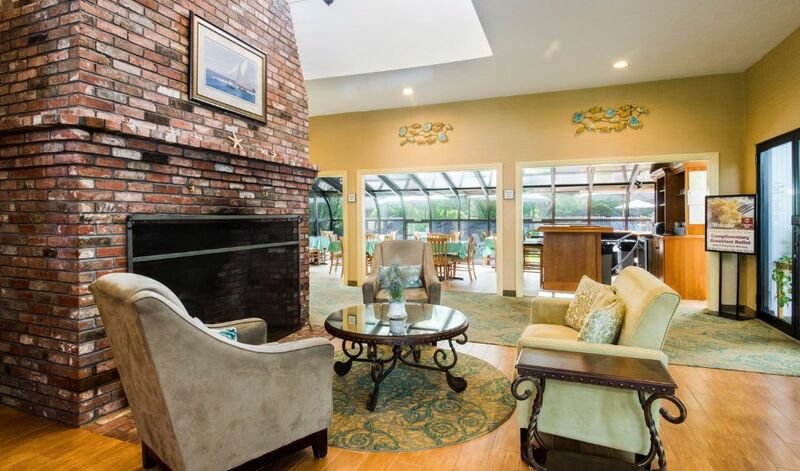 Conveniently located centrally on the cape and with many local businesses nearby including an ice cream shop next door. Well priced!